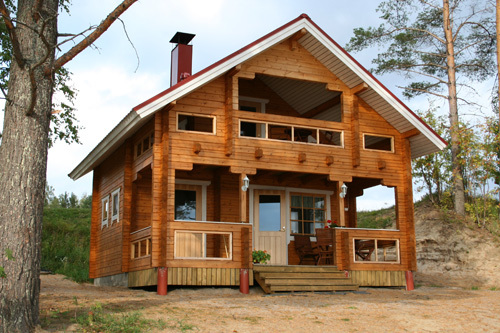 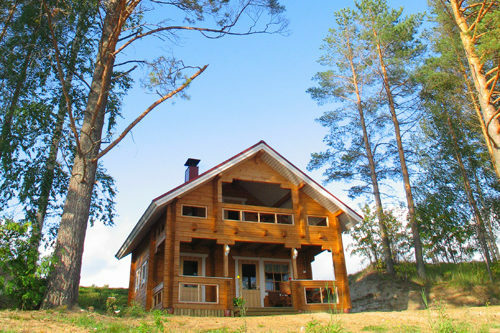 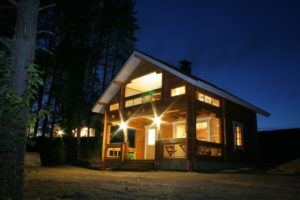 Loimutupa was built in 2006 out of solid Finnish square log. 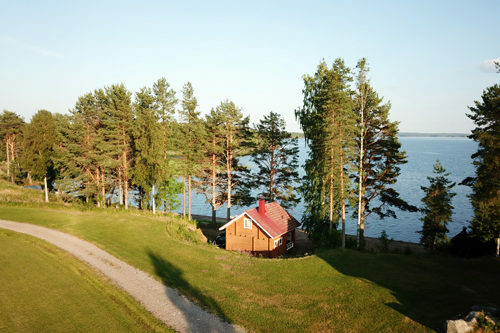 The cabin has 37 square meters of living space plus a very large veranda on the ground floor and terrace upstairs with beautiful views over the lake. 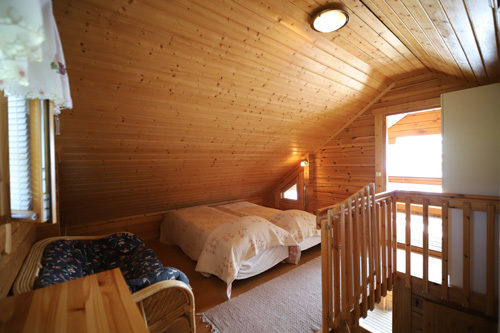 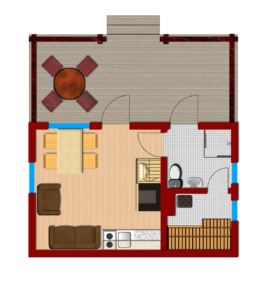 The living-room can sleep two and upstairs there is accommodation for four. 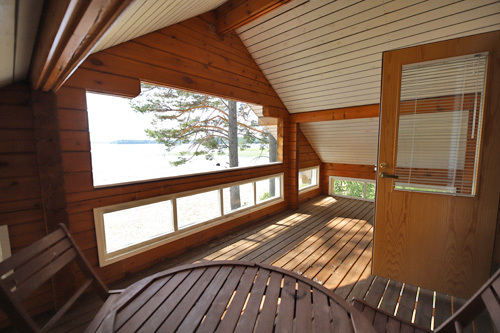 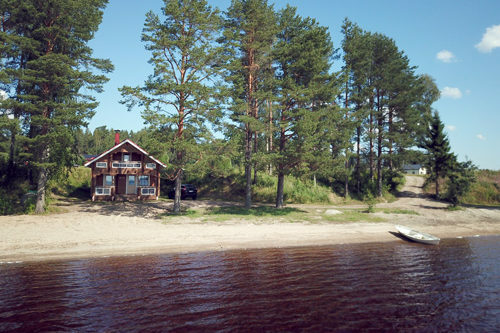 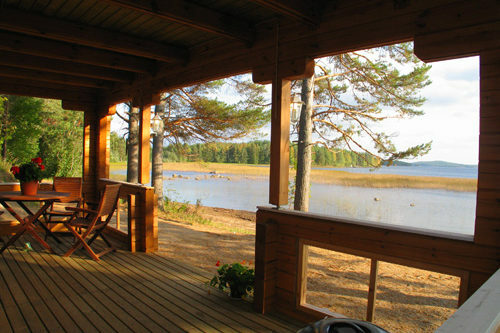 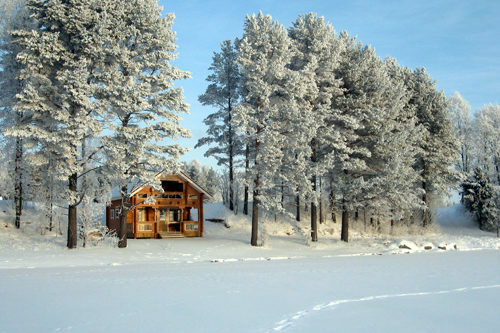 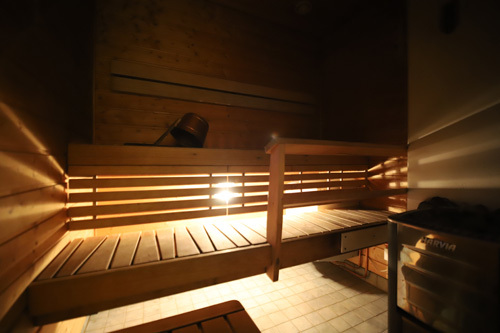 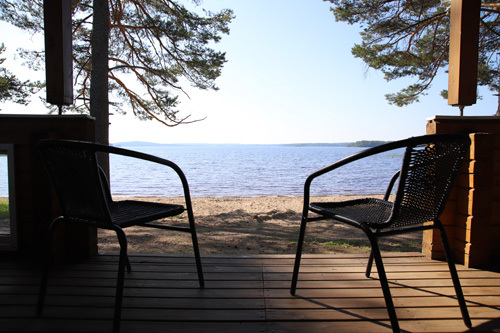 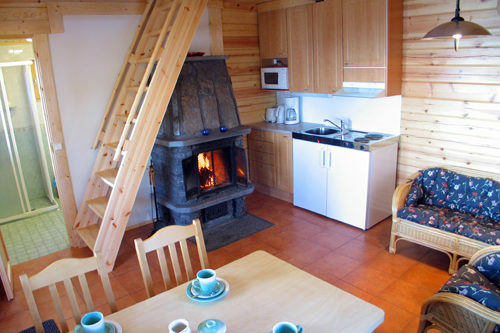 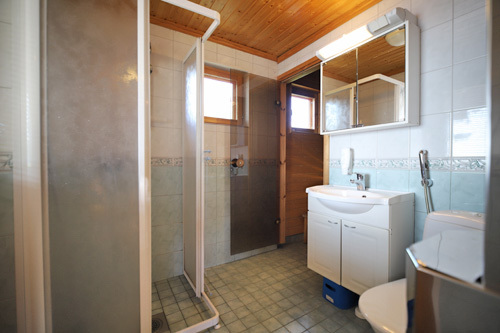 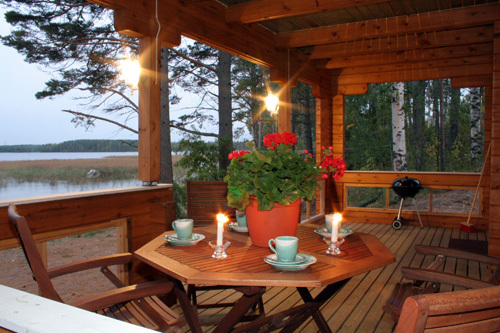 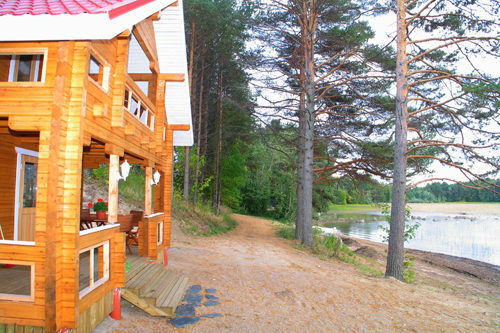 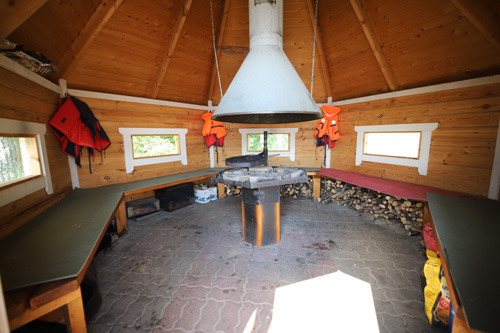 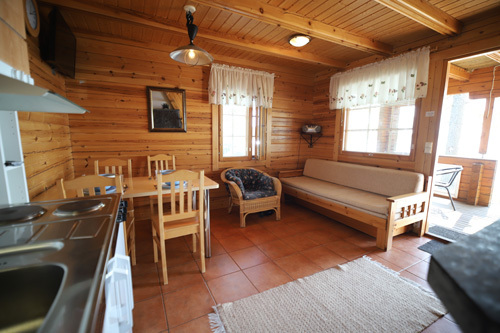 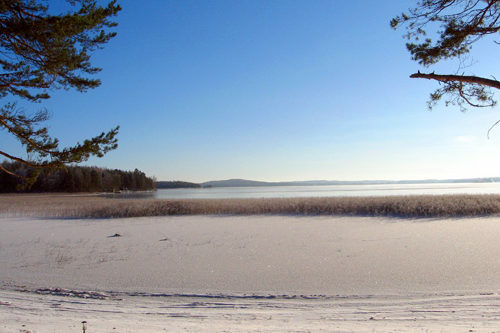 The cabin is located on the shore – waterline only few meters from the veranda. 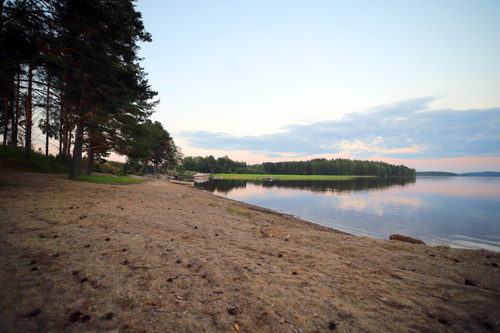 The beach is shallow and sandy, very comfortable for your kids.